Moving around in wheelchair can be quite a hassle. Just completing everyday tasks can seem to become quite a problem for those who are less able. Now an attachment introduced by Rio Mobility aims to assist users of wheelchairs by transforming the wheelchairs into powered tricycles. 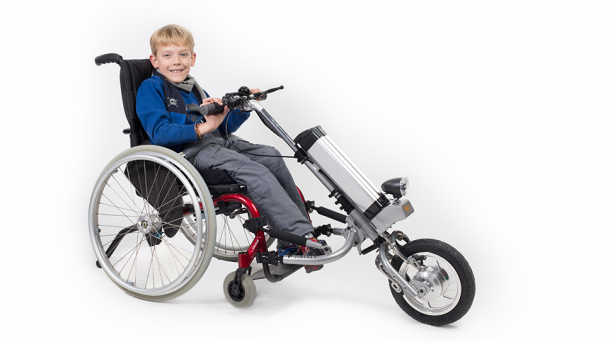 The gadget can be installed onto quite a large number of wheelchairs out in the market and once fixed, the two small front wheels become raised from the ground and lose contact with the ground. 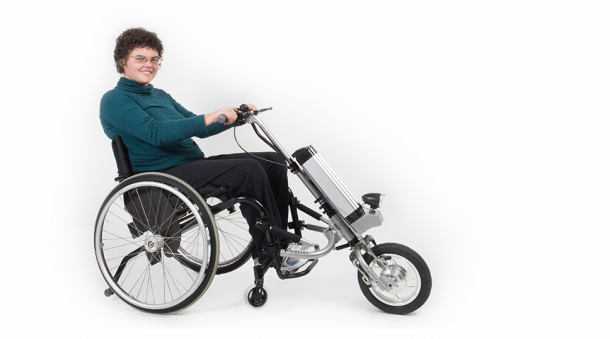 The powered front wheel then pulls the wheelchair and can manage speeds of up to 11Mph. The best part is the fact that it requires no effort whatsoever from the user’s end. The gadget draws power from a lithium polymer battery. It has been claimed that the battery is capable of providing 4 hours of travel time on a full charge that amounts up to almost 24 km when it comes to distance. The battery has been incorporated at the front of the aircraft alloy steel frame and is responsible for providing power to a 300W hub motor that is brush-less and geared. This motor requires no maintenance and the whole assembly weighs 15kg. The controls are located on the handlebars that come with a twist-grip handle for the throttle along with 2 brake levers and a bell. The assembly also has a speedometer and odometer, reverse gear and parking brake. The handlebars can be rotated by 90 degrees, thus allowing for manoeuvring easily indoors or when one has to navigate through a tight corner. 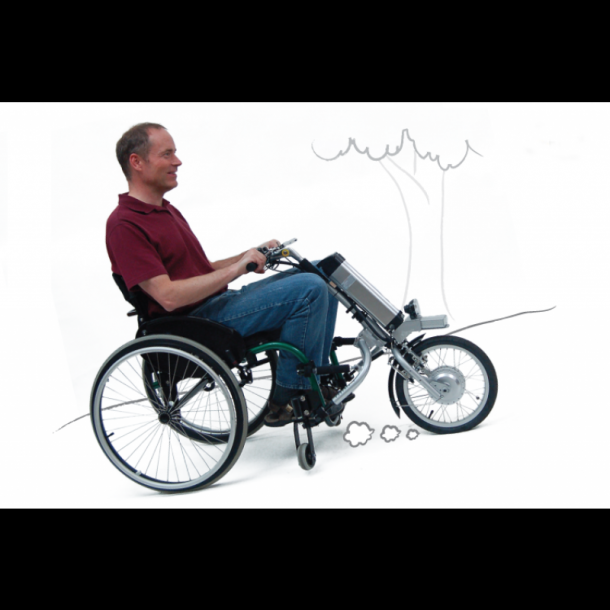 The gadget is being sold with a price tag of $1,950 and the company offers a range of different manual and electric assist hand-cycle options to select from. So, do you think the price tag is justified for this gadget? My husband has a standard INVACARE wheelchair. Can it be transformed into a power Tricycle as seen by Rio Mobility? We are interested in getting one of these.